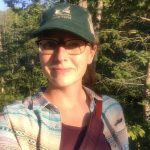 Dr. Vanessa Perry is responsible for land protection and program development in the Mississippi Headwaters and Metro areas of Minnesota. She brings 20 years of experience in natural resource oriented community engagement, land use planning, and applied social science research to her role. Vanessa has a bahcelor's in environmental policy and planning from The Ohio State University, and both a master's and a doctorate from the University of Minnesota in natural resource science and management.